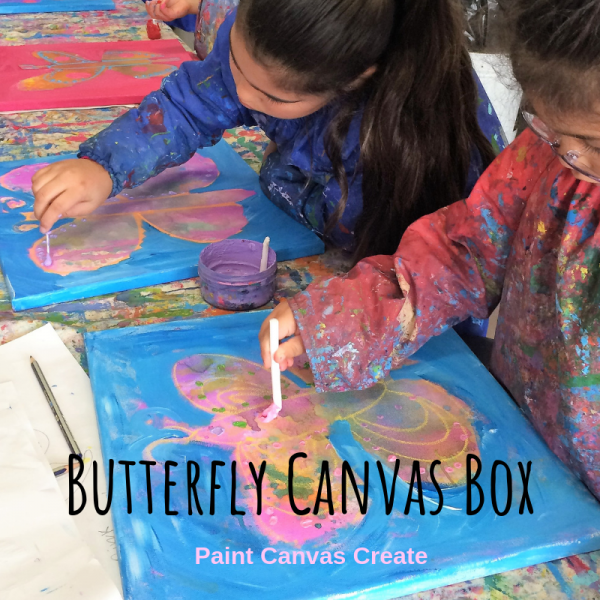 A wonderful canvas project inspired by the beauty and pattern of butterflies. Lots of watercolor paint colour, pen and ink. Embellishments included. A fun canvas project, recommended for ages 4 and up.